Join us and protect our right to vote. 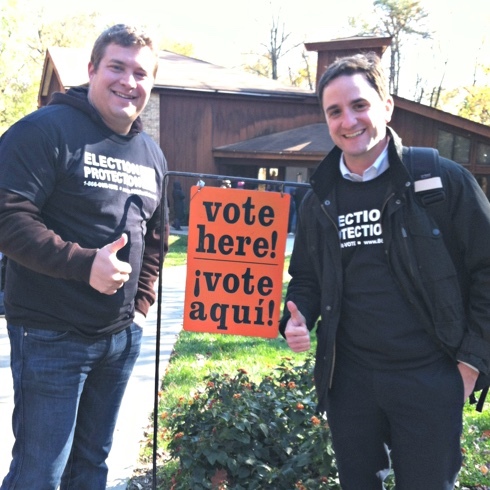 Thousands of lawyers and voting rights activists volunteer to ensure every voter’s voice is heard at the polls. Are you a lawyer, paralegal, or law student? We offer volunteer opportunities for those with legal expertise and without. How will you help voter rights? 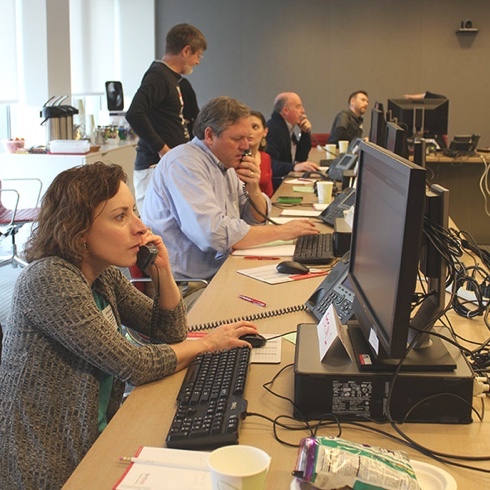 Volunteer for a Call Center, Field Program, or both! We support voters by answering their questions, helping them navigate the voting process, and responding to reports of problems. In select locations, we send volunteers to the polls to answer voter questions in person and respond to any voting issues that arise. Search volunteer opportunities by your specific location and choose the dates and times you’d like to volunteer. From online videos to in-person training, choose your training preference so you are ready for your volunteer shifts. Show up on the confirmed dates and times of your volunteer shifts and protect voting rights with fellow volunteers! 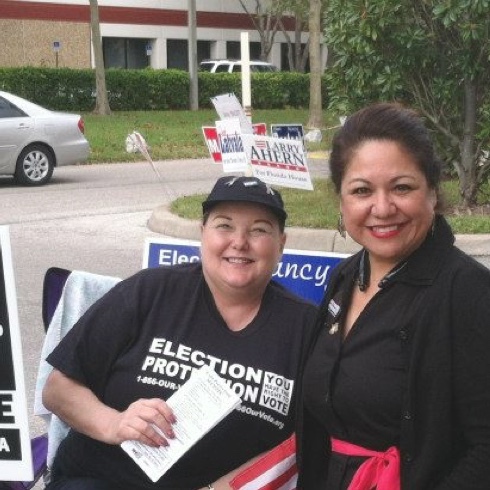 The national, nonpartisan Election Protection coalition works year-round to ensure that all voters have an equal opportunity to vote and have that vote count. 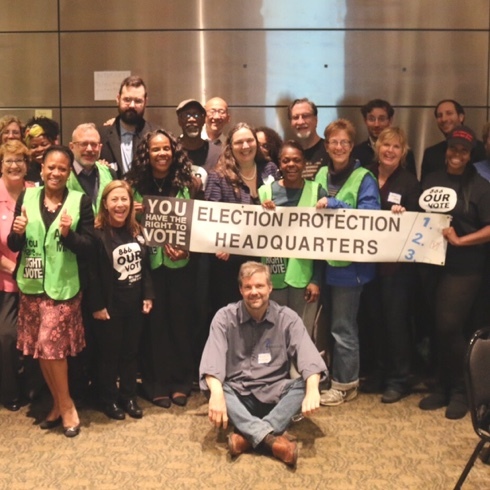 Made up of more than 100 local, state and national partners, Election Protection uses a wide range of tools and activities to protect, advance and defend the right to vote. Election Protection provides Americans from coast to coast with comprehensive information and assistance at all stages of voting—from registration, to absentee and early voting, to casting a vote at the polls, to overcoming obstacles to their participation. Our volunteers provide voter information, document problems they encounter when voting and work with partners and volunteers on the ground to identify and remove barriers to voting. Election Protection focuses on the voter—not on the political horse race—and provides guidance, information and help to any American, regardless of his or her voting choices.